Our greatest strength is our ability to translate our customers' goals into actionable solutions that meet their budgetary and time constraints. Your project's success is our top priority. We created Schecter & Co. in order to allow us to better serve our customers. At Schecter & Co. we specialize in providing software engineering and creative design services for Education, Medical, Nonprofit, and Technology organizations. We design, develop, maintain, and support custom software applications and information systems for my customers. However, before we do any of that we talk to our customers and more importantly, we listen to them. We listen to their needs and translate those needs into actionable application specifications. Our greatest strength is our ability to translate our customer's goals into actionable solutions that meet their budgetary and time constraints. Our hands on approach to project management allows us to deliver cost effective full life cycle projects to our customers. We take full responsibility for successful project delivery and communicate current project status constantly. This ensures all project stakeholders always have accurate and timely information with which to make informed decisions. It also makes certain there are no unexpected surprises with project delivery. Your project's success is our top priority. 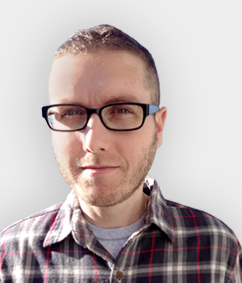 Scott is a project manager, software developer, and system administrator. He prefers open source software that the owner can freely modify and believes proprietary software should be avoided if at all possible. He also believes simplicity is the ultimate sophistication and the wheel in the sky keeps on turning. Scott has been bringing high quality custom software solutions to market for customers in the governmental and private sectors for over ten years. Scott has a bachelor's degree in information systems. When not working, Scott enjoys reading, listening to music, gardening, and general tom foolery. 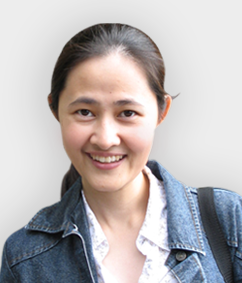 Ann has a strong passion for design and web technologies. She gets inspired by colors, music, animal curiosity, and the simplicity of a beautiful website with a great user experience. Ann has been involved in web technologies for more than ten years and has experience with many open source CMS systems including DotNetNuke, Drupal, and WordPress. Ann has a master's degree in applied computer science and a bachelor's degree in fine arts, media arts, and animation. When not working, Ann enjoys taking photographs, drawing, painting, reading, cooking, golfing, and ,of course, listening to music.